The Volunteer Services Coordinator (VSC) is responsible for all aspects of the volunteer program. 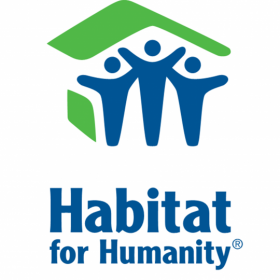 This includes the recruitment, processing, education, retention and coordination of all Habitat for Humanity SWC’s volunteers. The VSC also works closely with home build sponsors to coordinate sponsor volunteers and assists the Executive Director with home dedications. The position works closely with all staff members and volunteers to create a positive and productive atmosphere for volunteers. Interview and place volunteers for specific needs such as build site, or special events. Monitor and assess the need for volunteer services and suggest program improvements. 2 years experience in the field of volunteer management or equivalent combination of experience, education and training. This position is primarily performed at a desk in the office or on the construction site overseeing volunteer logistics. Outside meetings and presentations are occasionally required.